1. 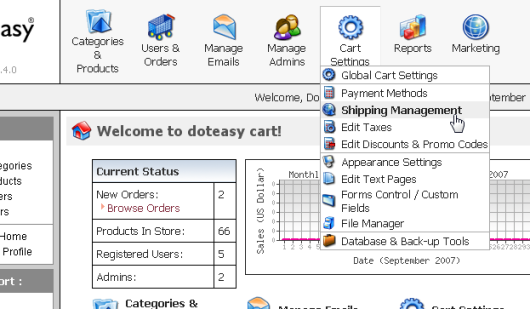 Click on the Shipping Management option under the Cart Settings menu. 2. 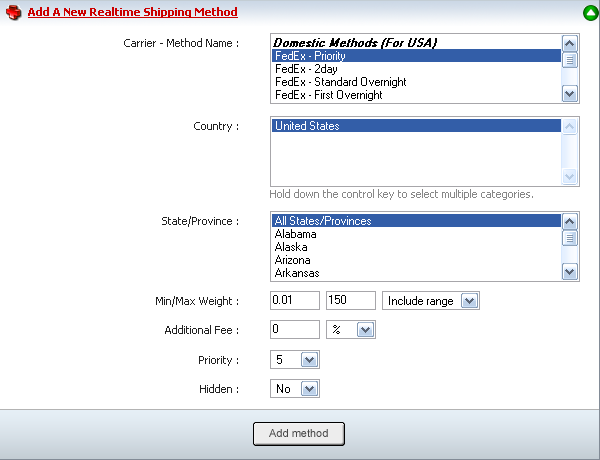 Click on the Realtime Calculation tab on the Shipping Management page. 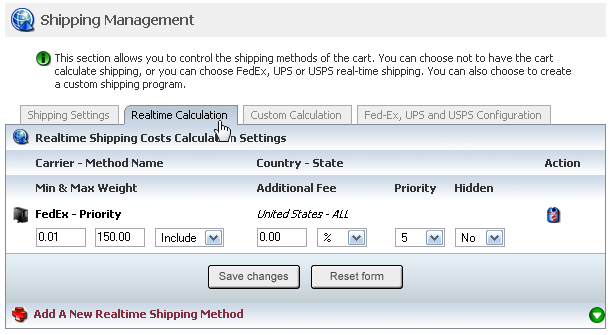 This will open the Realtime Shipping Costs Calculation Settings page. 3. Click on the Add a New Realtime Shipping Method link. 5. When you are ready, click on the Add Method button. 6. A pop-up screen will appear, as shown in figure below. Confirm your new real-time shipping method by clicking on the OK button.